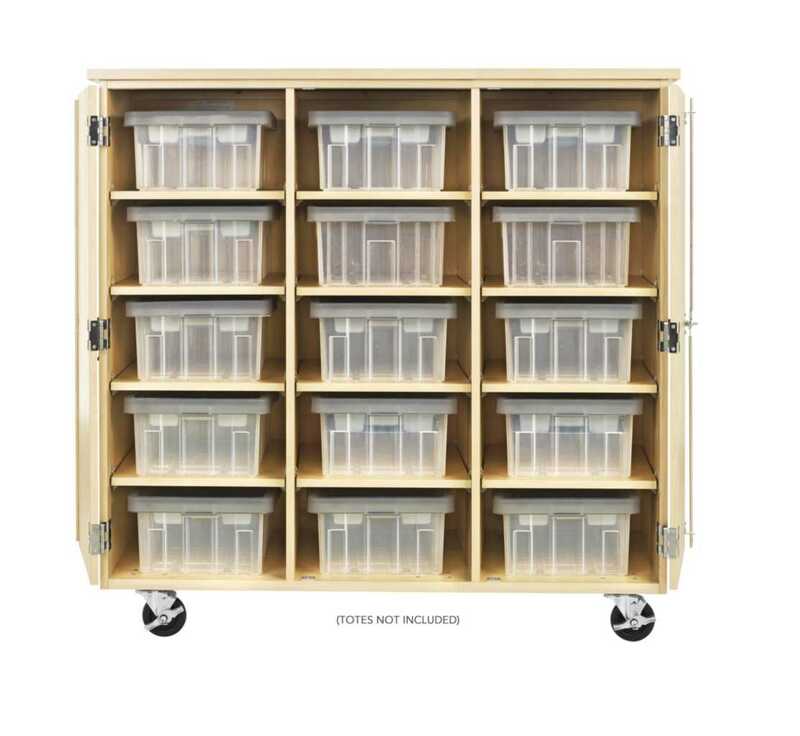 A mobile storage cabinet designed to work perfectly to store your robotics tote trays (totes not included). 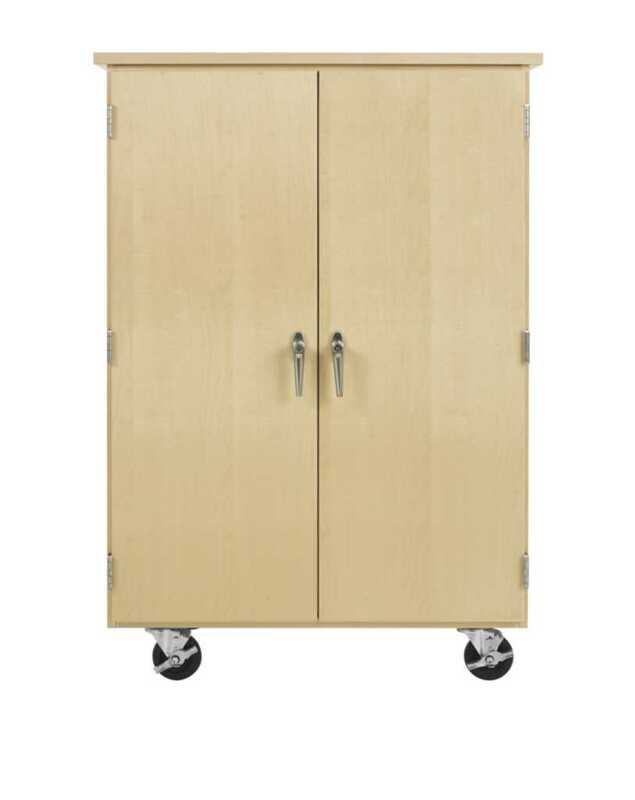 The cabinet is made of maple plywood and has swinging doors that are outfitted 3 point locking handles for security. 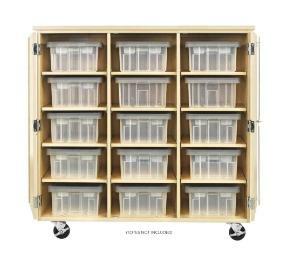 The interior has adjustable shelves for versatile storage. 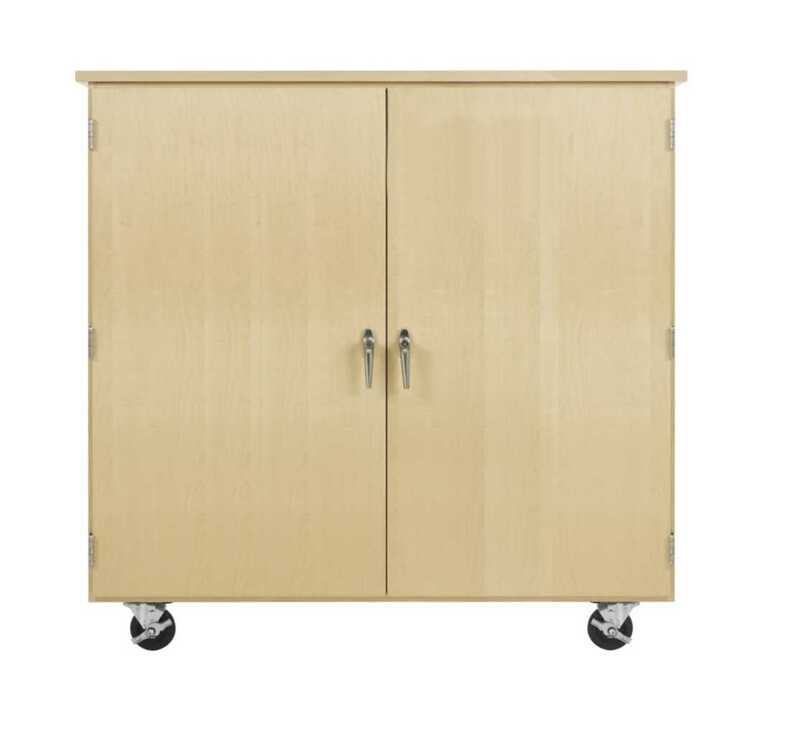 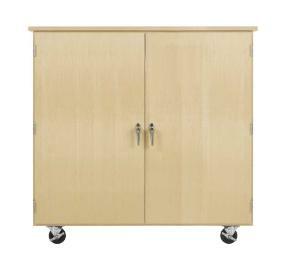 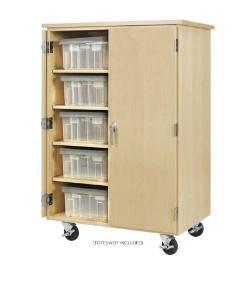 The cabinet rolls easily on heavy duty locking casters.